Glycine | Products | HENGSHUI HAOYE CHMICAL CO.,LTD. White crystal powder.sweet taste, esay to bedissolved in water, slightly dissolved in methanol and ethanol,but not dissolved in acetone and ether,melting point:between232-236℃(decomposition). Pharma-grade adopts the standard of American Pharmacopeisa. (1)used as a flacoring or sweetener,in combination with DL-alanine or Citric acid, it can be used in Alcoholic becerage,used as an acid corrector or buffer for the composition of wine and soft beverage, used as an additice for the flavor and taste of food,to retain its original color and to provide a soutce of sweet. (5)Can play a certain role in metal chelation and antioxidation ,used as a stabilize for cream, cheese, margarine,fast cooked noodles of convenient noodles ,wheat flout and pig lard . 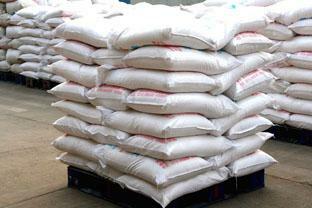 (7)10%raw material of monosodium glutamate is glycine. (8)Used as an antiseptic agent. (4)Used as the raw material for cephslosporins, he intermediate for Thiamphenicol and etc. (5)Used as the raw material for cosmeric. (3)Used as an intermediate of pesticides,e.g.a key raw material for herbicide Glyphosate. Used in fertilizer production as decontaminant.